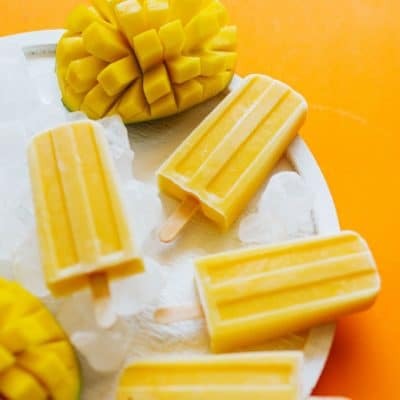 These Mango Lassi Popsicles have it all – the sweet mango, the soft texture, the…kefir? 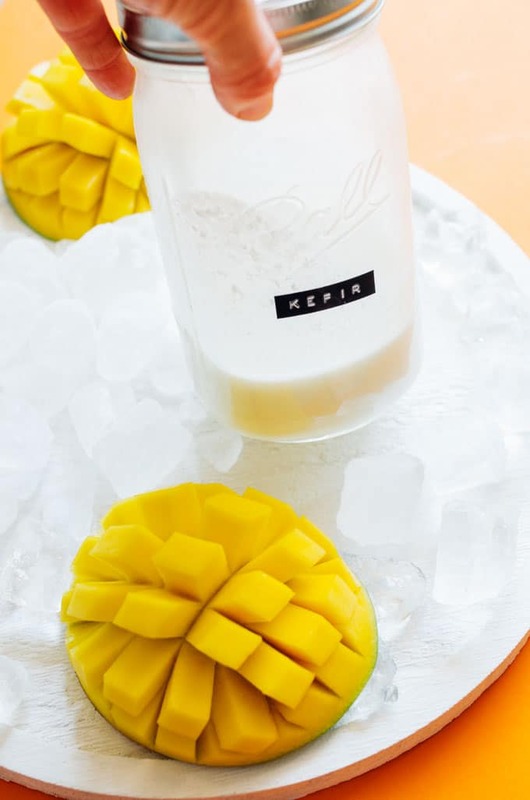 Packed with probiotics and ultra-creamy, kefir is the secret to these refreshing summer pops. Since signing on for a popsicle cookbook deal last month, I’ve been making like…a lot of popsicles. My once monthly popsicle-making habit has turned into a twice-daily habit, at least. I find myself bringing popsicles up in otherwise pop-free conversation. I excitedly run to the tulip-man when I find a flavor combo that rocks my socks, though his excitement for frozen ice treats fade at around batch 37. And now that I’m approaching the 70 popsicle recipe mark, I’ve come to realize some popsicle foundations that can never go wrong, one being that of yogurt/kefir/cottage cheese (ya heard it right!) and fruit. 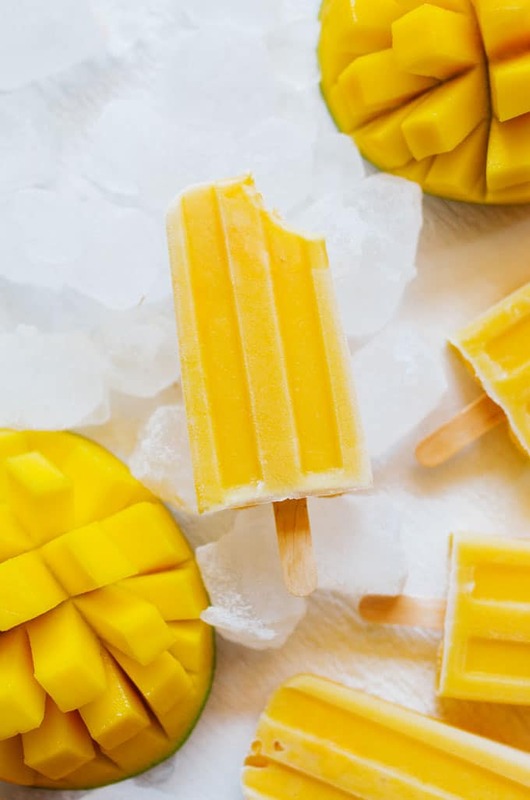 So dig out your popsicle molds and blender, because this flavor combo is one of my favorite finds! 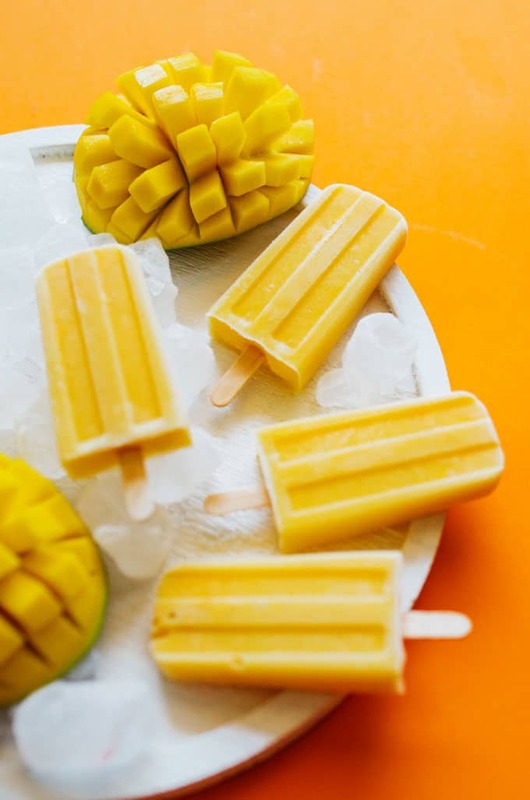 These Mango Lassi Popsicles have it all…the sweet mango, the soft texture, the…kefir? 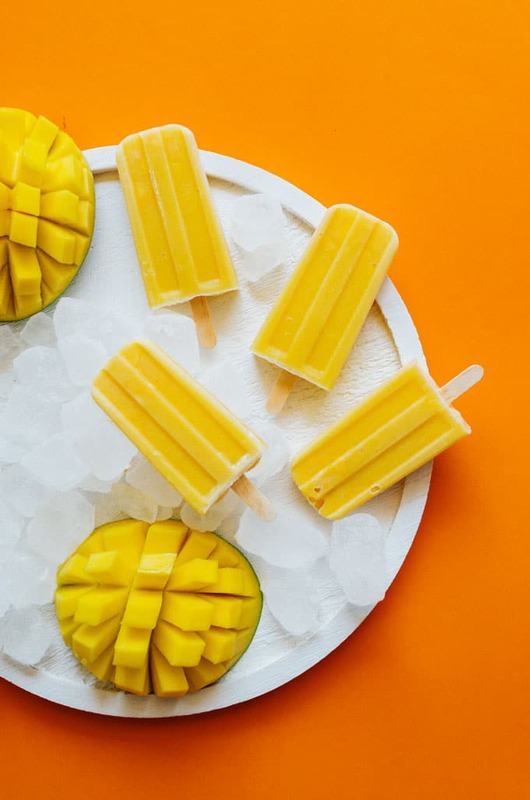 Packed with probiotics and ultra-creamy, kefir is the secret to these refreshing summer pops. Blend & Freeze: Combine all ingredients in a blender until smooth. Pour into molds, leaving a little space at the top for them to expand. Insert sticks and freeze until hard (at least 4 hours). Serve: Run the mold under warm water for a few seconds to loosen them up, then remove from the mold. Serve immediately or store in an airtight container in the freezer for up to a week. This recipe first appeared over on Amanda’s Cookin’, where I’m a contributor. 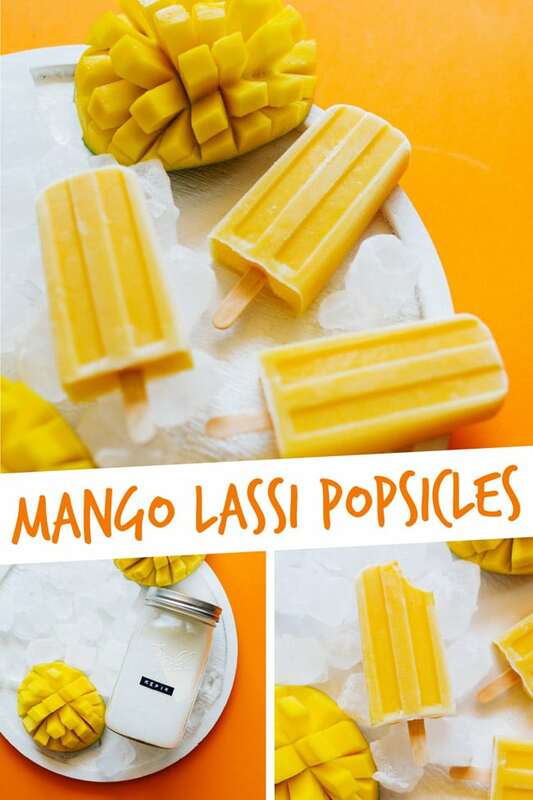 Thanks so much for dropping by and for making fun recipes like these Mango Lassi Popsicles possible!